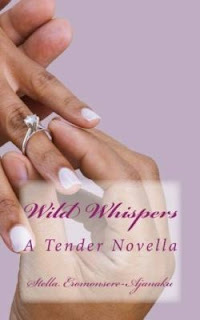 Wild Whispers on its exciting Blog Tour and leave comments on this Blog. One lucky winner will be drawn from a hat. Leave a comment on this Blog and one commenter wins an eBook. While on a field trip in Africa, handsome photographer, Gary Mason gets stranded in the woods. He finds an abandoned shelter occupied by a lonely but lovely woman he cannot get out of his head. This is one photography shoot he wants to forget, but Adaora has a firm grip on his heart and might change his life forever. When Adaora recovered from the shock of watching Gary mend her leaking roof, she burst into a string of laughter. For as long as she had lived here, no man had offered to help out with any work that needed to be done. She fixed many things herself. But her skills did not include climbing the roof. “Yes, ma’am,” he said in his most refined British accent. In 2010, Stella created Flirty & Feisty Romance Novels, a collection of toe-curling, intriguing, and skin-tingling romance with compelling characters who have heart and soul and jump off the pages of the book. 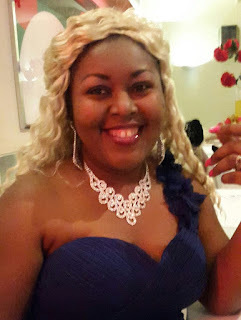 All her stories are dotted with twists and turns and are set in fascinatingAfrica, enticing Europe & enchanting America.